Many people yearn for equality, forced equality in society. If this is so, then anyone can demand that his/her monthly pay be at least 10% of what Mark Zuckerberg is getting even if they work only 4 hours and complain about work for the next 4 hours each day. And since tens or hundreds of millions will demand the same, then it will mean that Zuckerberg's average monthly income will shrink and continue shrinking because the politics of envy will assault his income and wealth, endlessly via government taxation. Free people are not equal and equal people are not free. I did not invent that quote of course, but it rings correctly until now. 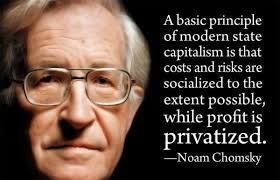 Now, this quote from Chomsky was circulated by some friends in fb last week. Lousy idea of course. Compare friendster and facebook capitalism: costs and rewards, bankruptcy and expansion are privatized while the benefits -- to us users of these social media, past and present -- are socialized. Friendster went bankrupt while facebook prospered. And many of us enjoy facebook (and youtube, twitter, google,...) capitalism, no tears though to friendster capitalism that sank. 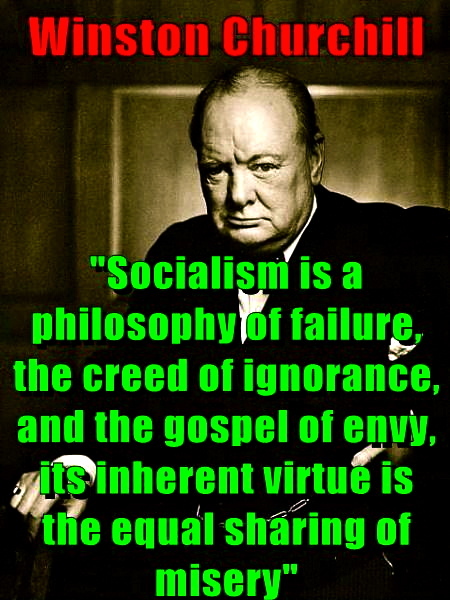 Another quote from Churchill. Yes, socialism promises equality... everyone equally poor except the top officials, military generals and business cronies of the communist party or dictatorship. There is room and role for government in a free enterprise and free market economy of course. Societies need the rule of law function of government if they want to be stable and prosperous. The poor can work double jobs and come home late night if they need to without worrying that their houses and little investments are ransacked by thieves or land grabbers. Or their extra income is eaten by more taxes and mandatory fees. 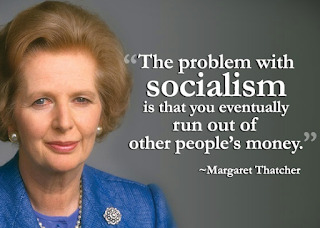 From the Iron Lady. Yes, governments have no money of their own except what they take from the people in the form of taxes, regulatory fees, mandatory contributions, fines and penalties to their numerous regulations and prohibitions. These government revenues are split between the state bureaucracies and politicians, and the welfare beneficiaries/dependents. Inequality is good, otherwise the lazy who work only 2 hours a day and the hard-working who toil 12-14 hours a day will have the same size of house in the same village. The lazy is subsidized with free or near-free housing while the hard working is penalized with lots of taxes and fees. There are many examples showing that many people respect inequality. When they watch a big concert, some pay $2,000, others pay $1,000, $500,... $50. But those in the $50 tickets do not call for a social revolution to have forced equality, they just enjoy the show at a low price. For those who cannot afford even the $50 ticket, they can watch the show later on tv, youtube, facebook, and so on. Many big capitalists enjoy big money so they can give away/donate that big money someday. Examples are numerous personal and corporate foundations whose main function is to finance many good community or research projects that will uplift the lives of poor and needy people. Civil society in action, Meanwhile, these rich and highly entrepreneurial people create more companies, build more structures and new services, create more jobs in the process. "Government... favoring some capitalists" and "state bail out of big banks, corporations" are cronyism and statism or state worship as the state picks winners and losers. The state has no business picking winners and losers, picking who should expand or go bankrupt; it's the job of market competition. Free enterprise capitalism allows bankruptcy and expansion happening at the same time to many players. 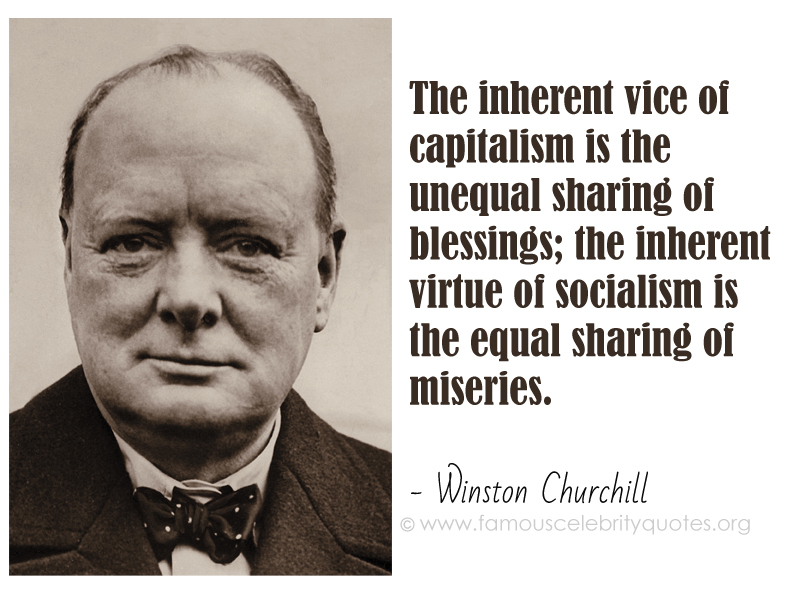 But we don't see any free capitalism society in the planet yet. Hong Kong would approximate this society somehow but China communism ultimately dictates and limits the pace of HK capitalism, not because the commies have the intellectual and entrepreneurial superiority but simply because they have the guns, bombs and huge army of soldiers and policemen who are ready-to-harass-people if they question the powers of the communist state. Money is not the source of evil. People will need money, cash or fiat money or credit cards or alternative currencies (bitcoin, etc.) so they can feed themselves and their family better, bring them to Boracay or Bohol or HK, etc for vacation. In the process they create jobs in Boracay or Bohol or HK as they spend money there. Money "hoarding" is bad... No. What's hoarding for some is actually savings accumulation for others. One cannot convert his small variety/"sari-sari" store into a nice, air-con convenience store unless he/she has sufficient savings accumulation plus loans from friends/family members or banks. The so-called "late stage capitalism" is characterized more by bigger, stronger governments who dictate prices (wage control, fare control, rent control, price control or price caps/ceilings), dictate competition or absence of it (monopolies created by Congressional franchise or agency franchise), dictate who should get subsidies and who should not (like wind and solar power firms get plenty of subsidies).